Being a successful artist doesn’t mean “create it and they will come.” To be truly successful takes a lifetime of organized thinking, that isn’t always fun, but essential. To better launch talented students beyond being a starving artist, Wood River High School two years ago started offering an advanced-placement art program. This year’s results will be on display Saturday, May 31, from 2-5 p.m. at 91 East Croy St. in Hailey, in the plaza with Atkinsons’ Market. The exhibition will include refreshments and live music. “Students in this class have to be highly motivated and have a strong work ethic,” Wood River High School art teacher Betty Ervin said. 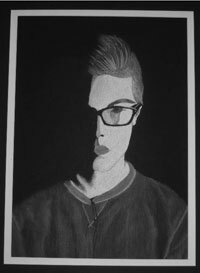 Advanced Placement Studio Art is a rigorous, college-level art class in which students create a body of art that is submitted to the College Board for review and scoring. Students choose either a 2-D or 3-D focus for their portfolios. They are then required to create 12 works of art using a variety of mediums and genres (portrait, landscape, still life, etc. ), in addition to creating at least 12 additional pieces that demonstrate a specific area of interest. A pre-AP Studio Art class is also offered, which has fewer requirements than the full AP class. Students included in the exhibition are: Lisa Hart, Sydni Morales, Addy Gage, Torrin McKenzie, Mia Smith, Olivia Thornton and Wyatt Caccia. Other Advanced Placement classes offered at Wood River High School include: AP Biology, AP Calculus AB and BC, AP English Language & Composition, AP English Literature, AP Government, AP Macroeconomics, AP Microeconomics, AP Physics, AP Psychology, AP Spanish Language, AP Spanish Literature, AP Statistics, AP Studio Art, AP U.S. History and AP Music Theory.